You've booked your trip to fly coast-to-coast to a great U.S. vacation destination or popular international city and you got a cheap airfare, hotel, car rental, vacation or cruise deal at Expedia or another travel website like Rovia Travel known for the best travel deals. You're packed and ready to go, so now comes the most important issue at hand - avoiding jet lag when you arrive at your destination. 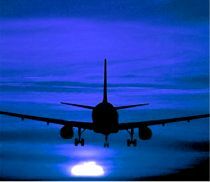 A survey by Conde Naste said that 93% of travelers get jet lag and even 96% of flight attendants get it as well. Jet lag is no fun as it can affect your ability to enjoy your vacation if you get sidelined by the extreme tiredness that often accompanies adjusting to long flights across many time zones. My first true experience with jet lag occurred on my first trip overseas to London and after that experience, I vowed to learn the secrets of avoiding jet lag and now I share my travel advice to conquer this common problem. On my first trip abroad, had a red eye flight from JFK to Heathrow and arrived at my hotel around mid-day. I was so extremely tired when I checked in to my hotel that I proceeded to take a very long nap. This was exactly the wrong thing for me to do as it took several days before I eased into the rhythm and flow of London's time zone. I've since learned a lot of tips for avoiding jet lag and no longer have my trips sidelined by it. First, you need to know that traveling across different time zones is the number one cause of jet lag. It happens most frequently by going from the west to the east, but you can get jet lag by traveling east to west also. I generally only experience jet lag going east to west. Second, I have learned that a huge reason for experiencing jet lag, at least for me, is purely psychological but that does not mean there are not physiological reasons impacting the feeling of jet lag as well. Here are some tips that I've collected and applied over the years and my career as a TV Travel Producer that seem to work very well. I used these tips for avoiding jet lag when I traveled from Los Angeles to Finland and back in four days for a video shoot with Travel Editor Peter Greenberg. 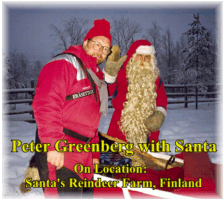 I produced a "Search for Santa" segment at the Arctic Circle featuring Peter for ABC-TV's Home Show. 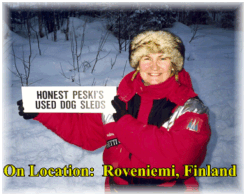 Yes, that's me in the photo holding the "Honest Pesky's Used Dog Sleds" sign. I still have that sign, by the way, made by the ABC-TV prop department. 1. Get little or no sleep the night before you travel. Believe it or not, this is a great tip for avoiding jet lag. I usually have so much to do the night before I take a long flight, that I stay up very late taking care of last minute details like packing my luggage and taking care of lots of odds and ends. This activity has actually served me very well as I then find it very easy to fall asleep on the plane and arrive at my destination ready to take in the sights. By sleeping on the plane, it helps me to quickly adjust to the new time zone that I'm traveling to and it's very helpful for avoiding jet lag. Now I realize that this may not work for everyone -- especially those of you who say, "I can't sleep on a plane." For "those people," I think perhaps you have simply never been tired enough when you travel or you get too much sleep before you travel. I've seen some travel experts suggest that you should get a good night's sleep the night before you travel but I personally think that you're just setting yourself up for a good case of jet lag if you do get too much sleep before you fly. While I'm waiting to catch those z-z-z-z's on the plane, I like to look over my Travelpac available through Magellan's, that has everything I need to make the most of my visits to the world's most popular cities. I use my portable DVD player or Laptop to watch an informative half-hour DVD hosted by NPR's Savvy Traveler, Rudy Maxa. He shows me some not-to-be-missed sites and offers his insider tips along the way. I also like to thumb through the included Frommer's Travel Guide for dining, shopping and entertainment suggestions, along with a handy street map that makes it easy for me to find my way around. 2. Take a Tylenol PM or Melatonin to help you sleep on the plane. I find that if I have a little help with a sleep aid to induce a nice relaxing sleep, I get the rest and sleep I need while I'm on a flight and this is very helpful for avoiding jet lag. For me, that means just ONE Tylenol P.M. or about 15mg of Melatonin (with one-to-two 5HTPs) but you should consult these Melatonin FAQs to use it responsibly. 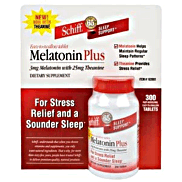 I get Schiff's Melatonin at Costco and it's very inexpensive and I will sometimes take Melatonin throughout my vacation to help reduce the effects of jet lag as it helps me adjust my sleep pattern for the new time zone. I also find that a supportive neck pillow helps me sleep comfortably on a plane. I have an Inflatable Neck Pillow with two Comfort Control fabrics so I can flip sides to choose between a warm, sueded microfiber or a cool, moisture-wicking jersey fabric. I like that it's inflatable because it's so compact that it's easy to pack in my carry-on (unlike the neck pillows that take up so much space). There's another inflatable neck pillow called a Komfort Kollar® that's specially-designed by Dr. Melvin Cheatham to support your cervical spine from every angle (including under your chin!) It also stows in pocket-sized pouch. Check out Magellan's for these products. Before you rely on Tylenol PM or Melatonin for a trip, you really need to take them for a "test spin" before your flight to determine if they are effective for you or not. I initially tried these sleep aids on a Friday night when I knew I could sleep in or relax on a Saturday if they made me too tired after taking them. This is VERY important to do this. The recommended dosage on a Tylenol P.M. is TWO tablets. I have NEVER taken two tablets because one tablet is more than enough to induce sleep for me. I only want to get a good night's sleep. I do not want to feel groggy for an entire day so that's why you personally have to determine how your body will respond to this suggestion. I'm also personally not a fan of the prescription sleep medications so I can't comment on using them for this purpose. 3. Do NOT drink alcohol or caffeine when you fly. Drinking alcohol, coffee and caffeinated sodas during your flight will dehydrate you and contribute to your feeling of jet lag - so just don't drink these beverages on your travel day. I know that sounds harsh but you certainly don't want to drink alcohol (including wine and beer) if you're taking Tylenol P.M. Now, if you must have a cup of coffee, then wait and have your brew in the morning right before you're arriving at your destination when the flight attendants are serving breakfast. Save the drinking for fun spots, swim up bars, pubs and dining out when you get to your vacation destination. If you don't follow this travel tip for avoiding jet lag, then you will really pay for it on your vacation. 4. Do drink plenty of water. It is very important that you drink plenty of water when you fly as dehydration will contribute to your physical feelings of jet lag. Some airlines try to keep passengers hydrated on long flights by coming around with water, but they don't usually do a very good job of coming around enough and that's why I always make sure I have at least one-to-two liters of water with me. I also ask for extra water when the flight attendants come around offering drinks. Drinking plenty of water while I'm on a coast-to-coast or international flight greatly contributes to avoiding jet lag. 5. As you travel, slowly start setting your watch ahead to the correct time zone at your vacation destination. This is the single most important tip to avoiding jet lag. You should slowly start setting your watch ahead an hour or two during your flight to the correct time at your destination. Make sure that you have your watch set for your destination's time zone several hours before you actually arrive as you will be psychologically set to jump right into the new time zone. Now, in today's world, only 25% of us still wear watches so I suggest you go to Target or Macy's and buy an inexpensive and simple watch where you can actually dial the hands ahead (not a digital watch unless you're good at resetting them). I've used this tip for avoiding jet lag for over twenty years and it works wonders at alleviating jet lag for me whether I'm traveling coast-to-coast or flying half-way around the world. I have a Kenneth Cole dual time zone watch and I keep the top watch set on L.A. time and the bottom watch set on the correct time for the time zone I'm visiting. It cost me about $99 over twelve years ago and I just love this watch (in photo). In my opinion, most jet lag is purely psychological and getting your mind fixed on the new time zone is one of the easiest things to do to avoid jet lag. I will let you know that it sort of drives me bonkers to hear people say things like, "Back home it's only 5 o'clock in the morning," When it's 10am or 3pm in our current time zone. If you keep your head in your original time zone, you will not adjust as quickly to the new time zone and you will experience jet lag. 6. If you arrive at your vacation destination in the morning or afternoon, do NOT go bed when you arrive at your hotel. I made this mistake only once and learned my lesson quickly. Drop your suitcases at your hotel and then go out and explore your destination for the day. Take a double-decker bus tour and get a quick orientation to your city or lay on the beach for the day. Have an early dinner and then go to bed early your first night at your vacation destination. You'll sleep a very good sleep and be quickly adjusted to the new time zone by morning. Finally, make sure that you get up and move around while on a long flight because sitting in a cramped position for hours at a time only adds to the misery of getting jet lag and could also have some very serious (even deadly) implications. Get some exercise while you are on your flight. You can twist and stretch out to keep your muscles relaxed or walk up and down the cabin if possible every once in a while. This can keep your feet from swelling up. Now I don't know if these tips will work for you, but I can tell you that they've worked for me for years. 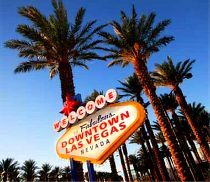 I have yet to experience jet lag at my vacation destination since implementing these tips for avoiding jet lag. Before you travel, there's more than jetlag that should concern you when you get to your destination. For things you can't imagine while traveling you need travel insurance and I recommend Travel Guard. There are so many things that go right when I travel, but occasionally things do go wrong. That's why travel insurance is always a good idea, especially on international trips. Also, if you're planning on traveling by train in Europe when you land, make sure you get your Rail Pass online before you go for the best Rail Europe specials and promotions. 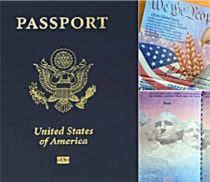 Finally, make sure you know everything you need to know about using your cell phone internationally or you could come back home and be greeted by an astronomically high wireless bill. If you want to know how Peter Greenberg avoids jet lag when he flies 420,000 miles each year, check out his report when we was Travel Contributor to NBC's Today Show. Unlike Peter, I can tell you that I do still occasionally get jet lag when I return home after a long international trip and it may take up to a week for me to get back into the groove of "L.A." time. However, I actually enjoy getting up really early and working when I'm readjusting to the west coast time zone as I have found these periods of reacclimation to be very productive weeks. Just remember, you don't need to let jet lag ruin your business trip or vacation. If you use these tips suggested here for avoiding jet lag, you will enjoy your trip! NOTE: There are a couple of products on the market for avoiding jet lag. I have not used them, never felt like I had to use them, so therefore I cannot offer any travel advice as to whether they work or do not work. What's Your Best Tip on How to Avoid Jet Lag? The one thing I know is that I don't know everything about avoiding jet lag, but I do know what works for me. However, what works for me might not work for you, or maybe, just maybe, my advice on this page is "spot on." I want to hear your thoughts, comments, tips and feedback. Just enter it below. Then click on the link if you want to upload one photo.